Vayu is a musical exploration of sound and consciousness. 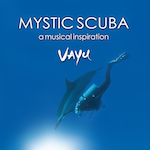 With soaring melodies amid symphonic soundscapes, Vayu exposes luminous worlds of sound. From pure thematic New Age harmonies to lush driving Electronica dissonances, Vayu creates a magnetism of heart and mind that conveys an ecstatic sense of unity. 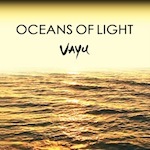 Oceans Of Light, Vayu's debut album is an ode to the sea. Beginning with spacious aquatic melodies and playfully grand themes, the album guides listeners to the solace of deep ocean More... soundscapes. In quiet reflective listening, Oceans Of Light is an initiation into the wonder and majesty of the ocean world. "Through meditation and deep reflection, we can see that the ocean holds designs of divinity and consciousness. The ocean has unique patterns of vibrant energy that appear in prominent sequences of brilliant light. In its deepest dimension, the ocean is a luminous spirit of giving. Diving, sailing, and swimming are ways of embracing the ocean and coming into union with her spirit. "The ocean is the womb of life. It embraces us with unconditional love. It is the element of intuition, a connection to innate wisdom. The ocean is the element of self-discovery. It is the element of the dreamer. It washes away our past, heals our wounds, and awakens us to our spirit. In the ocean's depths reside healing counsel and emotional release. The ocean is the vessel that carries us to the mystical shores of the unseen-world. It is the path that guides us through the waves and white waters of the transient surface of life to the clear depths of our eternal shining nature. 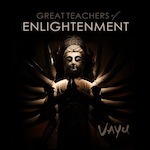 Inspired by the profound teachers of the great traditions of enlightenment, Vayu expresses a masterwork of rich evocative harmonies and pulsing percussive patterns conducive to meditative More... reflection on the illuminated lives and essential teachings of these spiritual masters. Beginning with Padma Sambhava, the enigmatic founder of Tibetan Vajrayana Buddhism, unfurling harmonic patterns saunter into bright digital curtains of sound and thundering rhythmic gusts. 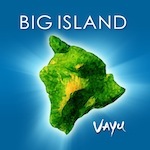 On this album Vayu breezes lyrical melodious instrumentals over the sun-swept Waikoloa lava rock deserts and the rain-drenched Kona calderas. Rich synthesized arrangements build to More... portray majestic snow covered volcanic peaks and picturesque picturesque white sand beaches with crashing turquoise waves. Elevated rhythms of the high volcanic passes contrast vividly with the dramatic soundscapes of the lava tube caves. The gliding song of tropical bird calls spring into harmonious concert amid the backdrop of Ohia trees and voluminous waterfalls. Those seeking Enlightenment have long utilized places of power such as the Southwest of the United States, the Himalayan peaks, the Nile, the Ganges, and the Hawaiian Islands. The energies of these places are extremely helpful in aiding realization. Awareness, transformation, and enlightenment can be gained rapidly by meditating in places of power.